This is an update to my previous blog Please Help: 24 Hours to Save the Bees! Breaking news!! Europe’s leaders could move to ban bee killing pesticides in 48 hours. Send this to everyone — let’s build a 2-million-strong swarm and make our voices heard before they meet. Quietly, globally, billions of bees are dying, threatening our crops and food. But in 48 hours the European Union could move to ban the most poisonous pesticides, and pave the way to a global ban that would save bees from extinction. Four EU countries have begun banning these poisons, and some bee populations are already recovering. 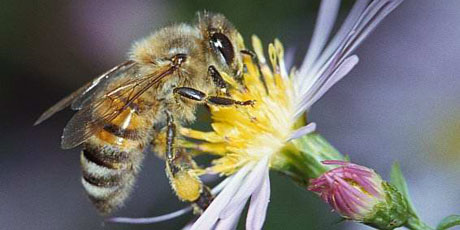 Days ago the official European food safety watchdog stated for the first time that certain pesticides are fatally harming bees. Now legal experts and European politicians are calling for an immediate ban. But Bayer and other giant pesticide producers are lobbying hard to keep them on the market. If we build a huge swarm of public outrage now, we can push the European Commission to put our health and our environment before the profit of a few. Bees don’t just make honey, they are vital to life on earth, every year pollinating 90% of plants and crops — with an estimated $40bn value and over one-third of the food supply in many countries. Without immediate action to save bees, many of our favourite fruits, vegetables, and nuts could vanish from our shelves. Recent years have seen a steep and disturbing global decline in bee populations — some bee species are already extinct and some US species are at just 4% of their previous numbers. Scientists have been scrambling for answers and now the European Food Safety Authority is saying that toxic chemicals called neonicotinoid pesticides could be responsible for the bee deaths. France, Italy, Slovenia and even Germany, where the main manufacturer Bayer is based, have banned one of these bee-killing pesticides. But Bayer continues to export its poison across the world. Our world is beset with threats to what makes it habitable, and to what fills it with wonder. The Avaaz community comes together to defend both — large or small. Whether winning a battle to keep the International Whaling Commission from sanctioning the murder of these giants, or saving bees, the tiny creatures upon which so much depends, we will come together and stand up for the world we all want. E.Coli Outbreak in Ontario, New Brunswick & Nova Scotia: Probable Source is Lettuce Distributed by FreshPoint Inc.